I’m attending an Iftar party tonight, all the way in Dallas, Texas. 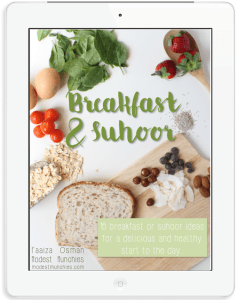 Yip, me, this Brisbane mum is heading to an Iftar in the US of A. How is this possible? It’s already after Iftar time and I’m right here snuggled under a blanket in the comfort of my house. Great idea, isn’t it? 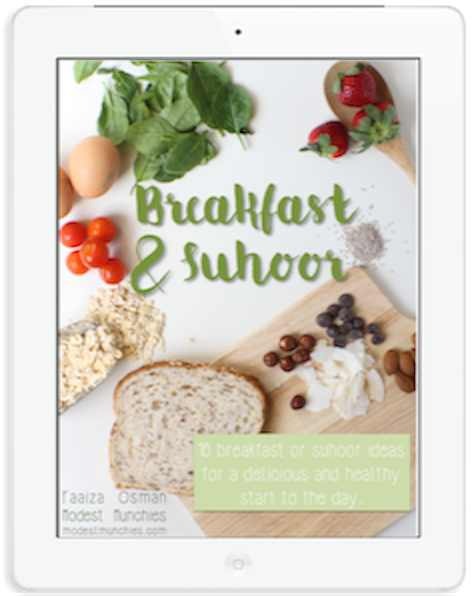 Lail from With a Spin is throwing a Virtual Iftar Potluck and she generously invited me as well as other food bloggers into her virtual home for the night. Pop on over to her site to see what everyone is bringing. 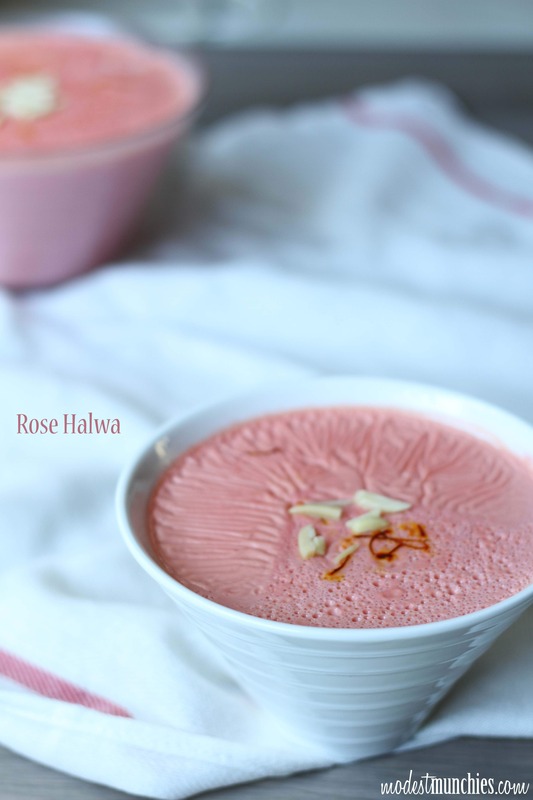 I’m taking this, a rose flavoured… Falooda? Halwa? Panna cotta? Jelly? Phirni? Call it what you will, a rose by any other name would taste as sweet. See what I did there? Please tell me you get the Shakespeare | Romeo and Juliet reference. This is a vegetarian soft jelly type dessert that was common at my nani’s (maternal grandmother’s) house at the time of Iftar. I’m not sure why it had pride an place during Iftar, but the cooling fragrant jelly was definitely a welcomed treat after a fast. You could have it for Iftar like we did at my nani’s or you could save it for a post-Taraweeh snack (dessert). Place your milk into a saucepan on a high heat. Add in your agar agar and rose syrup. Stir this constantly. When the milk mixture starts to bubble and agar agar is dissolved add in your cream. Bring the mixture to a full boil and turn off the heat. Pour your mixture through a strainer into a dish of your choosing and set aside to cool. Top with almonds and saffron and place in the fridge for a few hours until set. I can’t wait to see what all the other attendees are making. Such a pity I won’t be able to taste everything. beautiful photography it sure must taste as good as it looks. sister, do you use double or single cream in the recipe? I’m not sure, we don’t use those names for cream here, but any cream would work, as long as it’s suitable for cooking. Hope that helps. As-Salaamu Alaykum Faaiza. Thank you for much for joining the iftar and coming over to all the way Dallas with this fabulous rose halwa. I also made a rose drink. What a co-incident. Great minds must think alike. Feel free to hop on over to meet the other guests and their fabulous spread. Aww, that’s great, thanks for stopping by. Wslm, I love getting feedback on my recipes. Thank’s for trying it out. I wanted to top mine, but just ran short on time, you know how it is, us mums 😉 Salaams and love to everyone there too. Hugs! Got the reference and love the recipe. Beautiful photography! Lovely recipe … I was wondering what is rose syrup? Is it the rose water?